Well, we've started another phase of the Great American Coastline...New England. This is familiar territory for us as we lived in the Gloucester/Beverly area in Massachusetts for twelve years. We've always loved New England, more so in the Summer and Fall, not so much the winter, especially after spending the last thirteen years living in Florida...the cold hits hard now! It's been a bit of a slow start, mainly because I've been dealing with a back injury that has slowed me down quite a bit. After four weeks using a back brace and stretching three times a day I think I'm over the worst of it, but I do look like an old man as I carry my equipment very slowly over rocks and streams!! At least I'm moving again. The other factor that has not been so good for my type of photography (I like clouds and mist and stormy oceans) is the fantastic weather the North East has been enjoying, clear sunny skies which is great for tourists...not so great for my kind of photography! Now, however, I can feel the air getting a little colder in the mornings and that usually means mist over lakes and inlets as the air condenses over the warmer water. It's all good and it's fantastic being in this part of the word, it's a very special place. 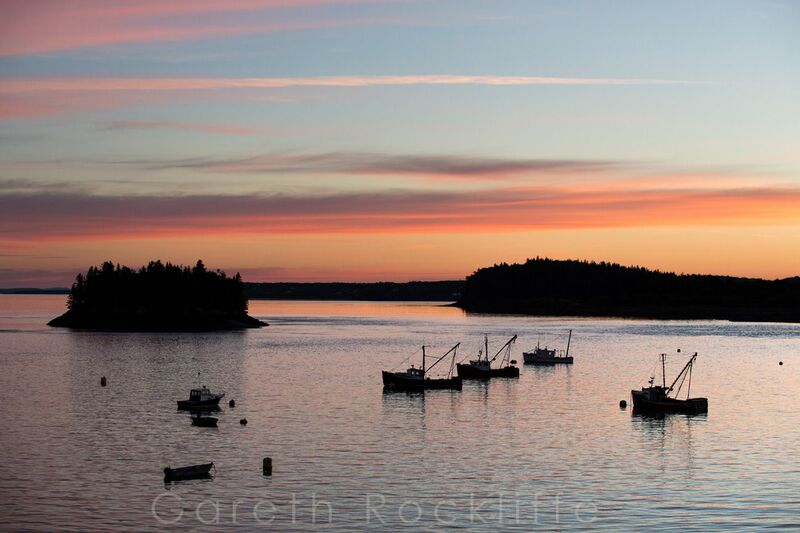 As I write this I'm in Lubec Maine, sitting by a window watching fishing boats enter and leave the harbor. Today the ocean is like glass, it's a beautiful scene as the gentle sunlight filtered by high altitude clouds gives a softness to everything. So often words fail me...which is why I'm a photographer, I feel so blessed to be able to share what I see and feel when I'm in a spectacular location like this, and even more blessed when people tell me how much they enjoy my work...thank you all!